At Wayne Local Schools, student safety is always a top concern. 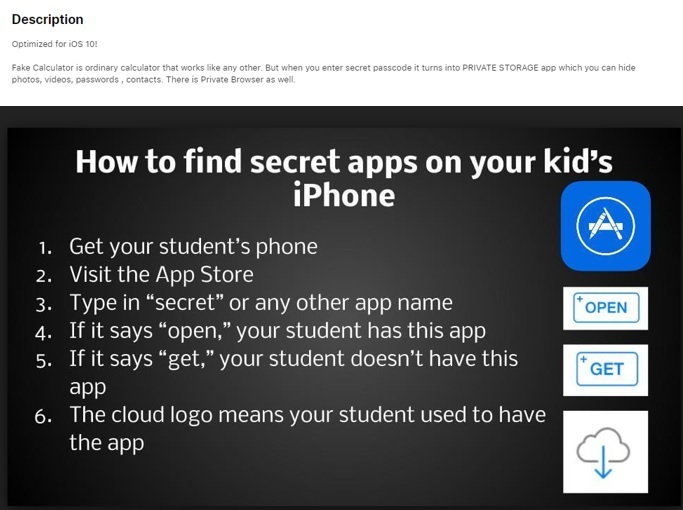 With technology being an ever-changing animal, we do our best to stay on top of trends and feel that there is some new information parents should be aware of when it comes to student use of smart phone apps. Did you know that there are apps to secretly hide inappropriate photos and contacts? The app icon can look like a calculator or a game icon. 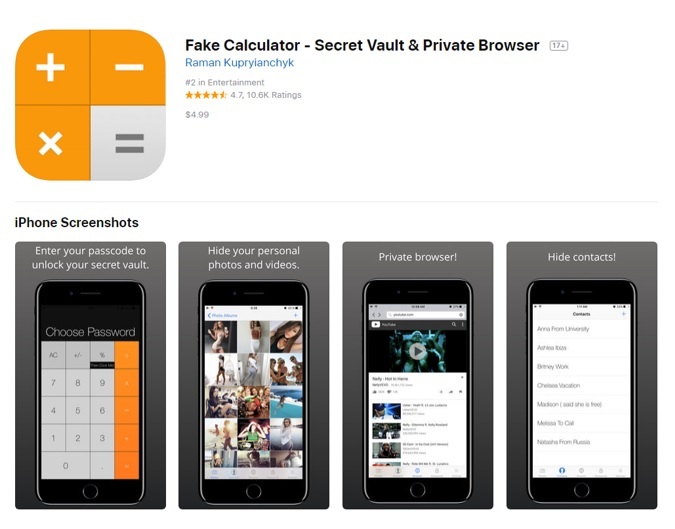 Below are some images of one such App, called Fake Calculator. We encourage parents to read the information available on this through the link below and stay vigilant about monitoring your student's smart phone usage.